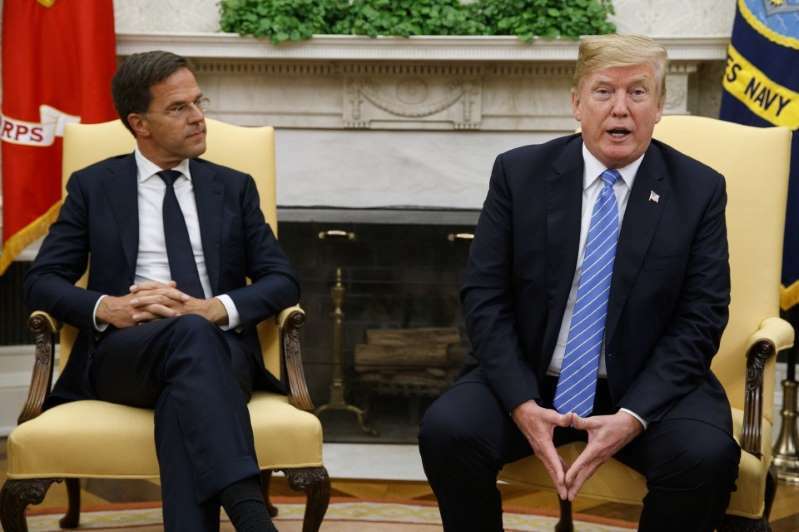 [post_ads]Rutte, a liberal straight-shooter known for mopping up his own coffee spills and cycling to the Dutch King's palace in The Hague, met Monday with Trump amid rising trade tensions between the United States and the European Union, of which the Netherlands is a member. In a five-minute news conference in the Oval Office, Rutte spoke significantly less than Trump. But when the Dutch prime minister interjected, he made himself heard.